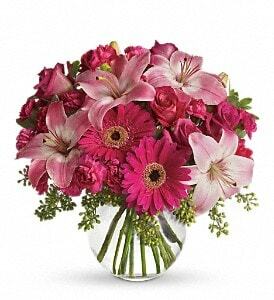 June's Floral Company delivers flowers to Genesee County, Michigan every day. We also deliver to all Genesee County hospitals, churches, and funeral homes. Genesee County is a county in the lower peninsula of Michigan. It has a population of over 425,000 people and is the fifth most populous county in the state. The county seat and largest population center is the city of Flint. Much of Genesee is flat land, but the southern section of the county features a number of hills and lakes. The county includes two major rivers, the Flint River and the Shiawassee River. The Flint has been dammed to create the Mott Lake and the Holloway Reservoir. Genesee County was created on March 28, 1835 and organized in April of that year. Many of the settlers in the area were originally from Genesee County, New York, and so they named the new county after their original home. A number of towns and other areas within the county share names with places in New York because of this.